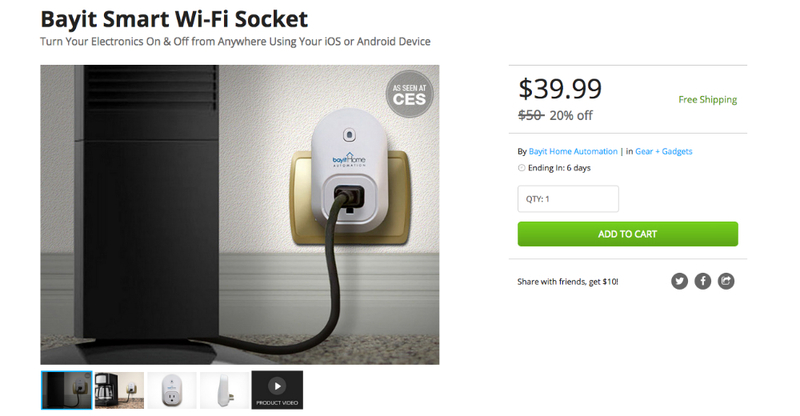 Featured at this year’s CES, the Bayit Smart WiFi Socket is currently available in the DL Deals Store, down from its usual price of $50, to just $39.99. With Bayit Socket, users can remotely turn on any appliance in their home, as long as it is plugged into the wall. Able to control the power flowing to fans, TVs, washers, dryers, and any other basic home appliance, the Bayit Smart Socket pairs to your smartphone, while also allowing for schedules and timers to be set. These actions can be set to automatic, meaning you won’t need to worry anymore if you left something on at home. Syncing with your smartphone is apparently quite fast and easy, with Bayit claiming it only takes 2 minutes to get everything up and running. If this cool little accessory interests you, follow the link below.